SEO Packages Article Updated June 2014. Sorry I no longer provide SEO services: I use my SEO skills instead to make money online for ME and develop the Best WordPress SEO Package Online: Stallion Responsive. As I update this article I’m moving the SEO Gold Consultant Services business website (my SEO business site) content to a new home (this site) and even though I no longer provide SEO services have left this article (modified version: removed the SEO packages) online because it’s a good guide to how SEO can work for some business types, but not others. Before contacting SEO Gold for a free SEO quote for an SEO services package please read through the following website descriptions to determine if your business website is likely to benefit from long term search engine optimization services: saves you time asking for an SEO quote. Are SEO Gold Packages Right for Your Business? 1. I own a new domain or an old domain with hardly any backlinks (very low PR) and want fast Google rankings. Or I want guaranteed Google rankings for competitive search phrases. Any ethical SEO consultant will tell you since 2005 it takes far longer to gain rankings in Google with a new domain than it did in 2004: see the Google Sandbox Effect for details why. 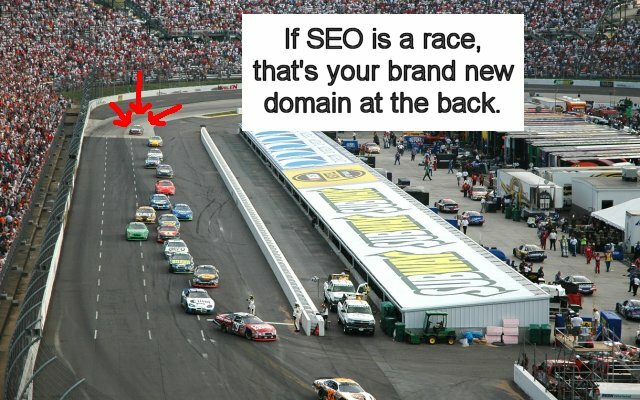 If you expect fast or even guaranteed ranking results for a new domain NO organic search engine optimization service can help you: you could sink tens of thousands of $USDs into an extensive backlinks campaign, but Google’s algorithm changes in late 2004 and onwards make it practically impossible to rank highly for competitive SERPs fast: fast being a few months from going live. There are exceptions, if your business is so awesome (the next Google, Facebook or Twitter) maybe the resultant viral affect of millions of Internet users talking about your business on social media and linking from their blogs etc… could push a new site to the top for competitive SERPs: if you own a business like this, do you really need an SEO consultant for link building etc…? Because of the Google Sandbox effect it takes over 9 months for a new domain to rank well for competitive SERPs in Google. This doesn’t mean a new site can’t gain any SERPs/traffic at all, but it’s hard to gain reasonable traffic SERPs in those early months so paying for professional SEO services at this point might not be a good use of your marketing funds. Many online business owners expect unrealistic results with new domains, even with perfectly search engine optimized content and a great backlinks campaign it’s going to take at least a year before you’ll see a return on your SEO investment (this is not the case for sites with aged links, see later). Based on the previous decade experience (2005-2014) only a small percentage of SEO clients are prepared to wait this time while paying for an SEO services package: Average SEO client with a new domain will come on board and within a few months of poor search engine results become frustrated, consider the SEO service a failure and drop the SEO consultant. This isn’t good for the SEO or the business client, it wastes the clients and SEO consultants time/money (we only make money from long term clients, not short term). For this reason it’s rare for SEO Gold to take on clients with new domains: understandably a year is too long to wait for most business owners when they have to pay SEO fees. As a potential SEO client with a new domain if you can’t wait a year for good search engine results SEO Gold is not for you: please don’t think you can find another quality SEO service that can rank new domains fast, it’s not possible (we’ve tried on over 300 domains from 2005 to 2014) and any SEO firm that tells you otherwise is at worst unethical or at best poorly educated in current search engine optimization techniques and trends! If your business website falls within the description above please read the Free SEO Tutorial and spend six months optimizing your content and gaining new backlinks (aim for a PageRank of at least PR3 for your home page). If you need help at that point come back to us for a free SEO quote. Good news is you are in a much better position than if you were starting with a new domain. Google relies heavily on backlinks, in particular aged backlinks: the age of links is so important which is why it’s impossible to rank fast for competitive SERPs in Google with a new domain (no aged backlinks). If you have a domain with aged backlinks your business site has far more potential for Google organic search engine rankings than a website with no/few aged links. However, with only a small number of content pages you aren’t giving the search engines anything to work with. This means all your organic search engine traffic has to come in through a small number of pages and this means you will need high traffic SERPs (which are always hard/competitive). Although it is possible to gain competitive SERPs long term, there’s no guarantee your website will be in the top 5 for this type of SERP in a reasonable time frame. Although top 10 SERPs will generate traffic, top 5 is where the real money traffic resides. 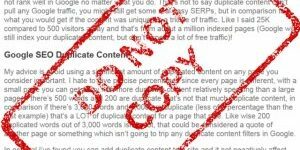 There can be millions of competing pages for a single competitive search phrase (with more coming online every day), only 10 of them are going to be listed top 10 and there’s no guarantees even when doing everything right that your page will be one of them. Basically a small number of pages SEO strategy is a very high risk SEO strategy. To give an extreme hypothetical example of why many small sites are not SEO friendly: lets say you own a mortgage website consisting of 5 pages with only two (one being the home page) targeting actual mortgage SERPs (other 3 pages are contact/privacy type pages). Together we could do everything right SEO copywriting/backlinks wise and get your site to the top 10 for SOME mortgage SERPs, but with only two content pages to work with there’s only so much we can do. This is a particularly difficult niche (most financial niches are competitive) and to do well it’s going to take highly optimized content and a lot of backlinks using mortgage phrases as the anchor text. You will either need to buy backlinks or offer something to webmasters for linking to your content: create some link bait. Depending on the starting point of the website will determine how much optimization and text links are needed and unless you already have a lot of decent PR backlinks already (that have aged) you will have to wait for new backlinks to age (age 9+ months to pass full link benefit). Lets assume to make a good return on your SEO investment a site like this is going to need to be top 10 for a half a dozen of the top traffic SERPs (so most of the mortgage SERPs listed above). This is where it gets almost impossible for a small site, (it’s difficult for a large site) there’s only so many phrases one page can target before the SEO copywriting is watered down so much the page doesn’t do particularly well for any of the targeted mortgage SERPs. In a perfect SEO world you would target one phrase per page with the hard SERP being targeted on the home page. From an SEO copywriting perspective it’s not hard to optimize for one keyphrase, but to optimize for even half a dozen phrases on one page is almost impossible without impacting a pages main SERP (there should always be one main phrase). In our hypothetical mortgage site example (just two pages to work with) we clearly need a mortgage calculator page for maximum search engine traffic, but what if the clients website lacks this type of content, to tackle a SERP ethically the targeted phrases should be found within the content: if we are optimizing for mortgage calculator SERPs there should be a mortgage calculator on the site or some information about them. But our hypothetical site lacks a mortgage calculator and doesn’t keep track of mortgage rates since the client doesn’t plan to add new content, so there’s nothing to use to gain most of these SERPs, or at least not ethically and within Google’s webmaster guidelines: never a good idea to use black hat SEO techniques. What this means is we are limited in what SERPs we can aim for, we’d be left with SERPs like Mortgage, Home Mortgage, Mortgage Company etc… which are good SERPs, but they are hard and even if you owned one of the major banking sites you are not guaranteed a top 10 for SERPs this hard! As it happens for the mortgage calculator SERP there’s only one major bank in the top 10 (RBC Royal Bank of Canada). With a website like this (very small) it either does really well (usually because it’s really old and a has a LOT of old backlinks) or terrible and for this reason I avoid working with web site owners who have small sites with no plans to expand. I only work with websites that I’m reasonably confident I’ll help gain more organic search engine traffic for resulting in a decent ROI. As you can imagine a business owner like the hypothetical one above is very frustrating and unrewarding to work with and since my SEO services are in high demand I never take on business clients like this. If you have an aged website with little content you could increase your traffic many times over just by adding new content to cover more relevant SERPs. If your site falls within the site description above please read our Free SEO Tutorial and if you ever reconsider your position on the size of your site feel free to ask for a free SEO quote. What Sort of Website is Ideal for SEO Services? Now that we’ve scared off most of our potential SEO business clients :) we finally come to what the perfect SEO client looks like. You have an aged domain with a lot of content, preferably sales based content (like product/service pages**) with unique content on most pages. ** Product or service pages are better than pure information, it’s not hard to generate traffic online that doesn’t convert to sales, not much point generating tens of thousands of visitors it there’s no ROI. This is the perfect site to work with because there’s the potential from the aged backlinks and there’s plenty of content for the search engines to work with (after it’s optimized), we can go for thousands of long tail keyword SERPs. With content optimization and steady link building a business website like this can see significant organic traffic growth. How much/fast depends a lot on the site/niche and how old and how many aged backlinks the site has. I’ve seen ~1,000 page ecommerce sites with a PR4 home page go from under 500 visitors a day to over 4,000 visitors a day within a few months of mostly due to simple code changes and better SEO copywriting: SEO trained the site owners how to write for search engines and visitors and their websites cleaned up on long tail SERPs. If you have an under performing site like this or plan to create one I’d love to work with you to gain maximum organic search engine traffic. Working with business owners with large websites is very rewarding as an SEO consultant. For a fixed monthly fee ($2,000 per month) you retain the long term services of an experienced SEO consultant with over ten years experience dealing with business websites SEO needs. Deleted the rest of this section as no SEO packages available. 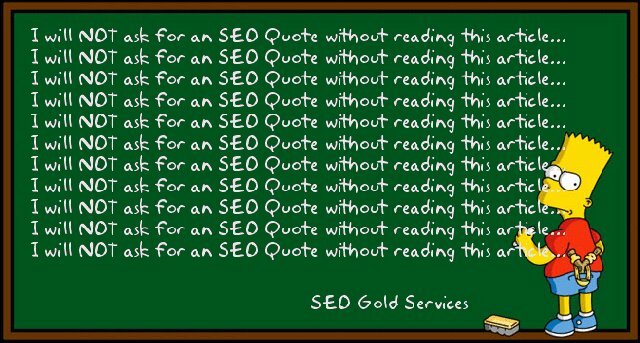 Sorry, no SEO quotes, SEO gold no longer provides SEO services. Thanks so much for your site, fantastic stuff and I have recommended it to many small business owners I know and work with. I’m in the process of getting serious about my business’ online presence and want to start with a great domain name! I am a travel photographer, and photography trainer, and do a bit of freelance journalism etc. Any suggestions, even if it’s just how to search alternatives without getting nailed by domain front running? Struggled with this for ages before getting in touch. Any help’d be hugely appreciated! 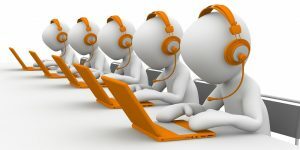 I have just recently started my website up and am interested in getting help with SEO services but as i read you article above i understand i am not the type of SEO client you company focuses on. Can you refer me to someone that handles helping new sites get started with SEO even though it may take some time to build ratings. And as i am looking for someone to help with this what would be a reasonable charge for someone helping me with this? considering as you said i don’t have much of a chance being rated high for quite a while? Your insights on site descriptions could help a lot particularly to businessman who wants to improve their web site through the help of professional SEO services. I agree with you that SEO has changed over time that I have to double my research to be on the market. I am also a business owner like Michael Taylor and wanted to have a domain name for my retail business. Hope you could help us and give some tips to be rated high. Thanks I am constantly trying to improve my seo skills. I appreciate your time in writing the article I will implement some of this into my seo strategy. I am hoping to one day actually learn enough seo to make some money on the web. your last not taking any SEO clients comment will give plenty of more SEO clients :) what a great inbound marketing trick .. loved it man..
At the time wasn’t taking on new SEO clients because was working on building a network of websites so I no longer needed to take on new SEO clients. Basically if you are very good at SEO and Internet marketing you can make a lot more money optimizing your own websites than for other businesses. Think about the saying “Those who can, do; those who can’t, teach”. Haven’t taken on a new SEO client in I think 2 1/2 years (maybe longer). Wasn’t inundated with extra SEO quote requests due to the not taking on new clients comment, so if others are thinking of trying this as an actual SEO marketing tactic it doesn’t appear to work: still got SEO quote requests (ignored them), but at a MUCH lower rate.